Digital Workplace – is this the future for scale-ups? What is a digital workplace and how will that affect scale-ups? 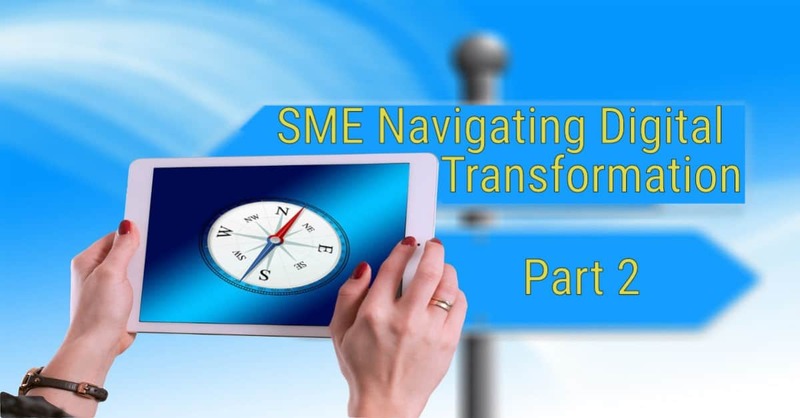 In this three-part blog series, we explore how digital will transform small businesses. In part-one we looked at how mobile and cloud has influenced the way people relate to technology. This has become the new norm and changed expectations of how customers and staff relate to business. Small and big businesses find they need to keep up with these rapid advances. In this blog we look at the impact of the digital workplace. In part-three of this series, we explore how digital creates new opportunities for growth. Why is digital workspace a hot topic? No doubt most owners are aware of the big shift caused by social media, mobile, analytics and cloud known as SMAC (social, mobile, analytics and cloud). Gartner uses the phrase Nexus of Forces to describe how these combine and reinforce each other. 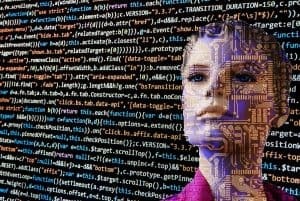 If that wasn’t enough, Artificial Intelligence is set to change the way we work in ways we are yet to fully grasp. You might want to take a look at our blog on technology and innovation for further insights. 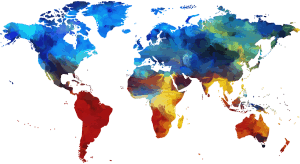 The World Economic Forum (WEF) described this as the Fourth Industrial Revolution, significant enough to be discussed in UK Parliamentary Briefings. People are using technology in new ways. We often don’t even think about this because it’s so much part of our everyday life. Add to that the investments in these new technologies, then you can start to see the huge influence on our workplace. According to research by the WEF, nearly half of companies expect to reduce current jobs by 2022. Having said that, they also expect the creation of new more productive roles. The same research also showed intentions to use more contractors for specialist work, and using remote staff working beyond the office. The picture is perhaps of a business with a smaller core that uses more virtual services. Will we still think of central offices in the future, or will it be more of a digital eco-system? I’ve met a whole host of people that offer everything from core services such as sales through to supporting services such as HR. One conversation was with a bookkeeper who wanted to spend more time with her children in Australia. By only working with clients that used Xero, a cloud-base accounting package, she was able to support her clients, anywhere in the world. That meant that she could spend months with her children in Australia and continue to work on the books of her UK client’s! We may take it for granted, yet the digital workplace is already here and growing. The second example is using chatbots for lead nurturing, customer nurturing and customer services. Check out Neil Patel’s blog 10 Ways AI Is Going to Rule Lead Generation in The Near Future. The data shows that people are happy to deal with a chatbot because they’re more responsive than a human. Robots don’t forget to send emails or follow-up, so on one level offer better and more consistent customer care. That’s good for sales and good for customer retention. Today machines do just under a third of work tasks, and WEF predict this to be forty two percent by 2022. As you’d expect machines will be crunching more data, searching and exchanging information. What’s a little more disturbing is that machines will be doing more of what we’d expect humans to do. By 2022 machines will be doing more of the communication and interaction, advising and decision making. The prediction is that machines will be doing much more of the low-level human tasks which will free up people to focus on the more interesting and challenging work. Digital can change everything we do. Remember filling in forms to apply for a bank account, a loan, or an insurance policy? Now we enter details online, and as if by magic, everything happens almost in front of our eyes. Ping An Insurance have invested in artificial intelligence and vision-based claim settlement. The system allows a customer to upload a picture of their car crash to settle the claim automatically. 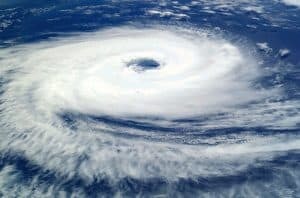 In 2017 James Garner, chief strategist at Ping An Insurance, shared a story of how a typhoon hit a certain province in China, and how they automatically settled some of those claims before the typhoon had left the area. For many small businesses, settling insurance claims must seem far removed. Yet fundamentally it’s about checking facts, making decisions and following a process. If something as involved as an insurance claim can be automated, then what about your business processes? Using automation is not new, yet many small businesses may not be using what’s available today. When you consider how this area is advancing, it doesn’t take much thought to realise how technology will continue to revolutionise the way we work. We might think of increases in turnover or profit as measures of performance. These are lag measurements, they only tell you what happened. Much more important are leading measurements that help you predict outcomes. 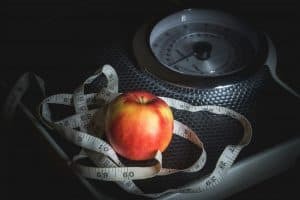 For example, if someone’s goal is to lose a few pounds, measuring weight is a lag measurement, and measuring calories consumed and burnt are lead measurements. Taking that example further, let’s look at an app that helps you achieve that weight loss goal. You can scan bar codes or search for foods to calculate daily calorie intake. Likewise, you can search for a list of exercises to calculate calories burnt. During the day you can instantly see if you’re on track and adjust. Using the digital app means you’re in control and can predict the outcome. “Rome wasn’t built in a day”, so the saying goes. Likewise, business and the digital workplace doesn’t change overnight. Any business must plan to change one step at a time unless it has very deep pockets. Even when it has deep pockets, incremental change is much more successful. 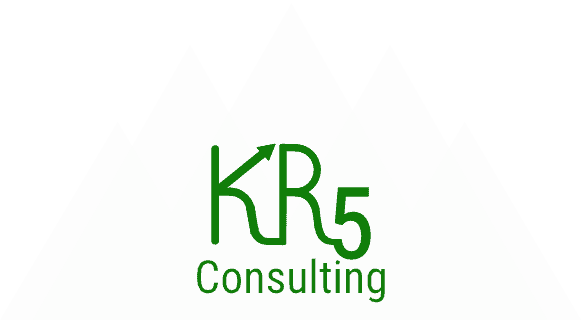 If you want help to put together your roadmap, and take those steps forward, why not reach out and contact us at info@kr5consulting.com or call us on 01344 266567. ⟵Digital Transformation – Should Scale-Ups Care?